Rescue a dog. Rescue yourself. Urgent: Echo is still on foster in the UK until 1st June. If he hasn't found a new home by then, he will have to go back to Ireland. You can now add potential agility dogs direct, using the on-line form. This is a free service for rescue organisations and private individuals! Now is a good time to enter the 2019 Senior League before the season starts up again and you don't have time. A warm welcome to our new sponsor Nordikota Print & Embroidery. It's the start of another agility season so a good time to buy or sell your van, caravan and camping equipment etc. on the new, easier to use Flea Market. We've improved our security in our constant war against spammers. There's more to browse and even some puppies under age of six months. And it is still free for individuals to use. A message for anyone organising an agility show. Did you know that you can contact judges easily by emailing them direct by using the link on the A-List? There are 500 KC, UKA and independent judges to select from. New judges always welcome. Agilitynet FB has reached a whopping 26,000 members! Welcome to all new members. It can be difficult to find an official KC Measurer if you are new to agility or have a new dog just starting out. A number of measuring sessions are now listed on the Events & Measuring page and/or the Show Diary. Use the Qualifier filter and select Measuring. Mega congratulations to everyone who won out in 2018. This year we have a record number of dog/handler partnerships on the list - more than 1900! Thank you to our sponsors, Agria Pet Insurance for their support. The A-List is now on-line so anyone who judges at KC, UKA or independent shows can add and/or amend their entries themselves. There are more than 500 UK judges listed so plenty of choice. Agilitynet has been listening to you again. We've had a request to add classes for Juniors to the Show Diary but will need the help of all the show organisers to identify shows with classes for kids. In addition, thanks to the 4th Height Supporters Groups, we have a list of shows with LHO on the Show Diary. Both these options can be accessed via the filter called Qualifiers on the Show Diary. Events added in the last two weeks. It's not be practical to list ALL the schedules available here for space reasons so we've opted for those that we've received in the last two weeks. The shows in red are closing this week so hurry if you want to enter. Schedules can be downloaded direct from the Show Diary page. When Lucy Tarpey was 12 she started training her Cocker Spaniel Diesel in the garden, using broom handles and a plastic hoop. Soon she was doing both Junior and Standard classes, sometimes against more than 100 adults which was a bit overwhelming for a youngster. She is now 17 years old and she has learned the hard way that perseverance is the key. 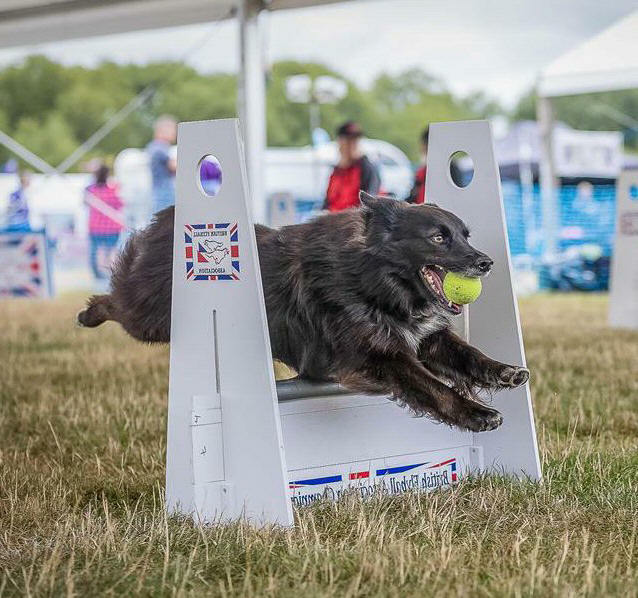 Congratulations to the winners of the first heat of the Agria Agility Challenge 2019 held at Andoversford Point to Point Festival. 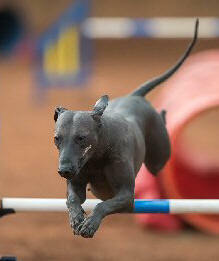 The Agria Agility Challenge is open to G1-4 dogs, with heats throughout the year. The top five placed from each heat will qualify for the Grand Final at the Malvern Autumn Show on 29th September 2019, to be judged by Championship Agility judge Hannah Banks. It�s going to be an exciting year! 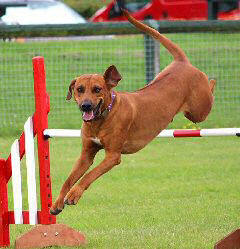 Kerry Rhodes started her agility journey with two Rhodesian Ridgeback dogs. At first no one would allow them to join their club but eventually she was welcomed by E. Yorkshire AC. Since then, she's never looked back and has now been competing with her boys for six years. 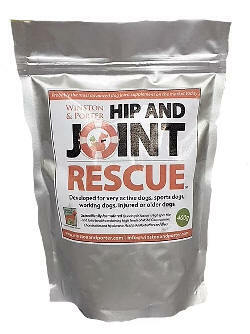 Friends Shellie Smith and Alison Barlow review this canine joint supplement which contains a quadruple strength combination of Glucosamine, Chondroitin, MSM and Hyaluronic Acid (HA) for long term joint health and mobility. You could be forgiven for thinking that the Alan Waddington has lost the plot, but we urge you to read on. It might make you change the way you read an agility course even if it does not make your financial investment decisions any easier! If you've never seen the rare Greater Tunnel Snail, we have a brilliant shot of one from Mary Cleverley. Never underestimate a dachshund. They're not the first breed you think of when someone mentions Agility, but with careful management and training Haylie Mabe believes they can enjoy agility along with the taller dogs. 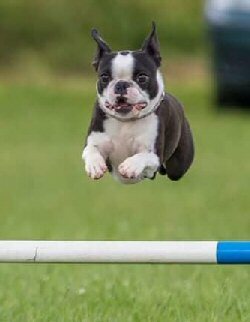 Jack Fenton would be the first to admit that he and his French Bulldog Kevin are not the typical agility team. Jack is dyspraxic means that he struggles with even the most basic handling techniques. When Katie Gurney decided that she wanted to run a smaller dog, she discovered the Boston Terrier, a breed not usually seen in the ring. She found them agility and easy to train as they love to please and great fun to own. Most people don't realise that Mark Duggan is competing with a rare breed. They think his Millie is a Spaniel X, but she's really a Kooikerhondje, a 16th century Dutch dog bred to lure ducks into traps. This is the story of how agility has helped them make their curious extraordinary agility journey. Still the best way to reach agility people! You can buy and / or sell your unwanted items on the Flea Market all year round. It's free and talks direct to the dog people you want to reach. Many thanks to Cornwall AC for sharing their delightful and very useful guide to ring party jobs. If you are a newbie to competition or not very confident about helping out at shows, this is one not to be missed! Neil Ellis reports on his experience - and observations - judging at one of Italy's top competitions. It takes a special kind of crazy to consider training a dog with zero work ethic for agility, but that's what Sarah Hamblin has done - and it's working. 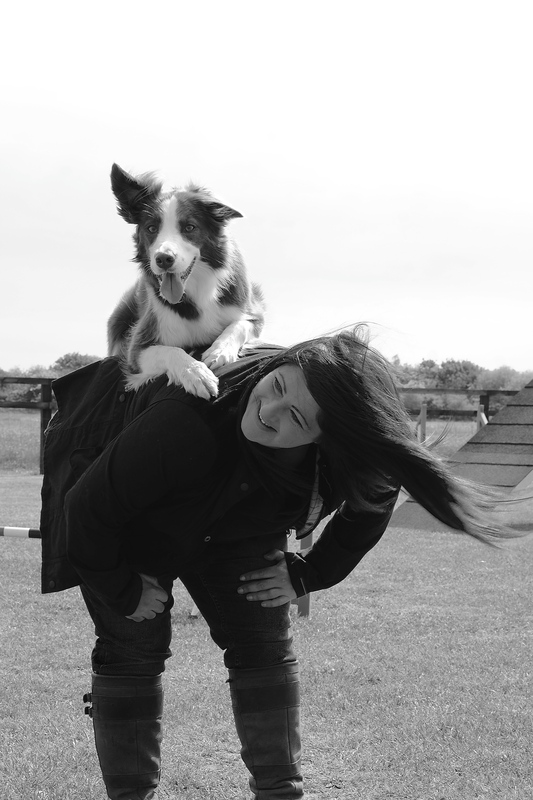 Nicola Smith believes that all behaviours including agility are 'tricks' to our dogs. Beth Rachlis thinks that dogs can do both and pick up the other sport more easily than those who haven't trained in either discipline. And she's proved it. 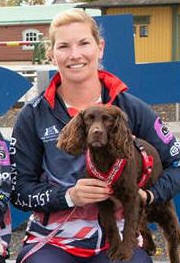 With comments from Ellen Schofield, another successful agility/flyballer. The AWC in Sweden on 4th -7th October was Kathryn Stickney's third consecutive AWC with her Working Cocker Coco and definitely the one for which she felt the most ready. Mark Bunyan reports on the very successful inaugural year of the League for Spitz and their crosses. It was a very good year especially for Kevin Butler and Ice-Baku. For many people Longleat was and forever will be their all-time favourite agility show venue. In those doing agility seemed come second to the social side. Shirley Elkins shares her memories of those days when one woke up to the roar of lions! If dogs could talk, an interview with Ice and Snow might go something like this... ALFS co-organiser Mark Bunyan translates. For many of us in the dog agility world, our lives revolve around our dogs and we can be devastated by their loss. Agility competitor and pet bereavement counsellor Emma-Jane LaRoche writes about this sad and difficult time and how to deal with it. There's an extra 'run for fun' qualifier for every Grade level now, not just the Advanced dogs. You can find a qualifier to suit you by using the Qualifiers button on the Show Diary page. Don't be shy. Go for it! Doc Docherty will be judging the LOW 550 Scotland Final in August. If you want to run Doc�s final course with the chance to win great trophies, a 3m pipe tunnel or a free space on training workshop, be sure to put the dates in your 2019 diary. After five years of competition, there will be no Brillo Bounce in 2019. Touchango K9 has launched a range of toys that they make themselves. Lisa Jordan reviews the Ringo, a durable ball on bungee handle which she uses with her collie Amp. 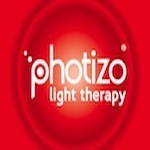 Chris Garrett has used Photizo Light Therapy on her dogs and on herself for a while now, and she agreed enthusiastically to review the Photizo� Vetcare devise, a non-invasive alternative therapy tool for wound healing, musculoskeletal conditions and pain relief. 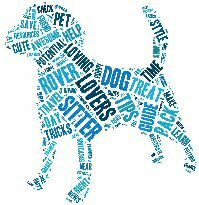 You'll find everything you need here for a happy and active life with your dogs. For more information about a specific product or service, click on the advert below. If you are interested in promoting your products and/or services to the agility market, what better way than via Agilitynet. After all, you are reading it now, aren't you! The Kennel Club estimates that the number of competitors taking part in agility shows over the course of a typical weekend is 4,000. To find out more about advertising your goods and services, see our rate card. If you don't see what you want, click here for more options. Agilitynet is a 'hobby gone wild.' It's done for the love of the sport. By supporting our advertisers, you ensure that Agilitynet stays free to you and on-line.